Tennessee permits you to file a no-fault divorce. Both spouses must agree the marriage is over and live apart for two years. It's even easier if you agree on how to split your assets, including homes, cars, bank accounts and other property. As long as you have no unmarried minor children, it doesn't matter if your spouse is in jail. You or your attorney file the appropriate divorce papers and, after a 60-day waiting period, a judge will finalize your divorce. For couples with children, you may have to attend counseling, mediation or parenting classes, together or separately, at the discretion of the judge. The waiting period for married parents is 90 days. In Tennessee, a spouse can file for divorce on the grounds that the other spouse is serving prison time for a felony conviction. In order to use this method, the felon must be incarcerated at the time of the divorce petition. There is no minimum prison sentence required to use felony imprisonment as grounds for divorce. Tennessee also permits you to divorce on grounds your spouse has been convicted of a "crime that, by the laws of the state, renders the party infamous." According to Tennessee Code 40-20-112, "Upon conviction for any felony, it shall be the judgment of the court that the defendant be infamous...." This may help you if you don't file your divorce petition against an imprisoned felon in time. If your spouse is released, but is infamous, you may still use his criminality as a reason to file for divorce. Whether or not an incarcerated spouse can see any children after a divorce depends on his behavior while locked up. Visitation is not a right and the state may terminate parental rights in extreme instances. Child support for the children of prisoners is also affected by Tennessee case law. A parent who can't work because of incarceration may have reduced or no child support due until he is released. If the parent is responsible for any child support, prison time doesn't excuse late or missed payments. 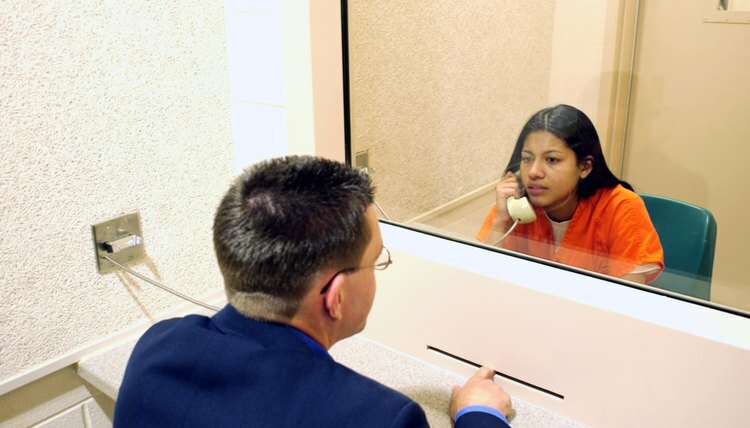 Ferrell Law Firm: Can You Get A Divorce If Your Husband or Wife Is In Jail?